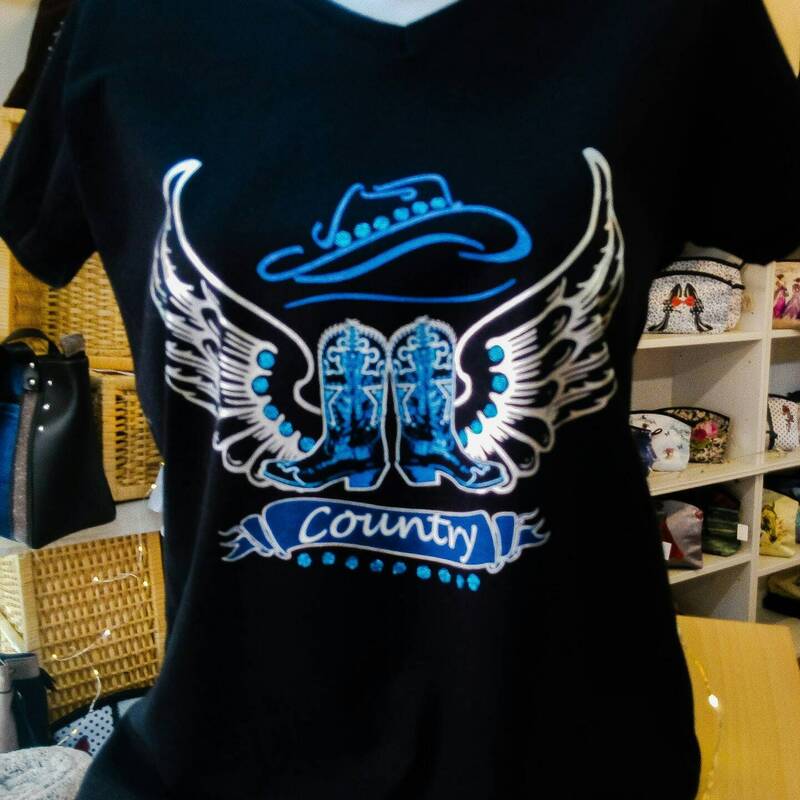 T-shirt women black short sleeve patterned joined. 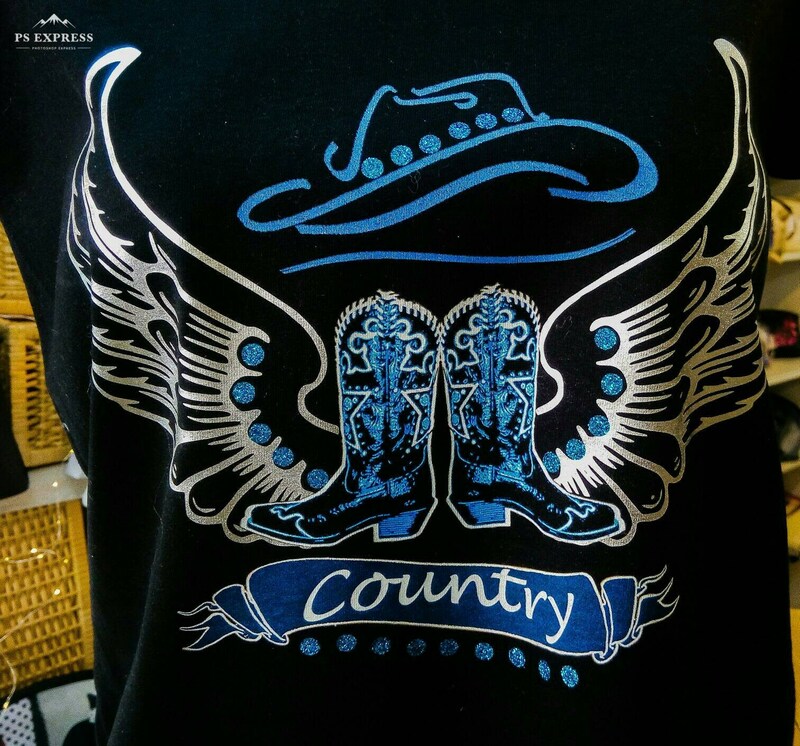 Cowboy boots and hat in blue print. Wings in Silver metallic printing. Small glitter blue glitt'ring. Feasible to order in size M L XL.